College is expensive in the United States. It’s cheap or free in other countries even for foreigners, so why not get out of here and come back smarter? More than 4,600 US students are currently studying at German colleges. That number has increased 20 percent over the last three years. One such student pays $120 a semester to the Technical University of Munich, which includes a transit pass, and $87 a month for health insurance. Living costs are about $7,000 a year. Germany encourages international students. They create a multilingual, multicultural landscape that benefits German students as well. According to US News and World Report, Germany is home to six of the world’s 100 best universities. These schools offer around 900 degrees completely in English and many German students speak the language. Cost of living is quite reasonable compared to other European nations. You could be part of Finland’s excellent education system. 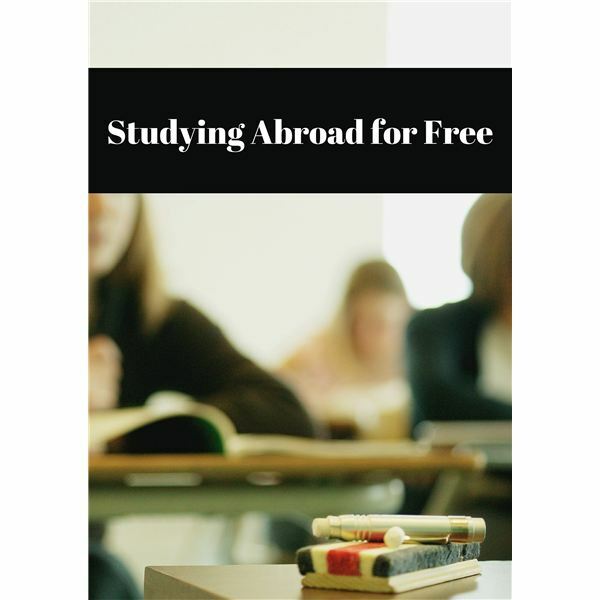 The Finns charge no fees or tuition and offer a number of courses purely in English. They would be happy for you to add flavor to their school scene. Cost of living there is high. Be prepared for frosty winters that far north, but you will get that sweet midnight sun in the summer. Many other European nations offer cheap or free college for foreign students, but if South America is more your thing, try Brazil. Most of the education will take place in Portuguese, so if that is in your language repertoire you can study near beautiful beaches and jungles. The University of Sao Paulo and State University of Campinas are both highly ranked internationally. Your money will go a long way there, too. Many of the lessons you will learn will be outside the classroom. Living on the economy in a foreign country will keep you on your toes. You will learn new customs, how to barter, stay safe, budget and become more flexible with people. There is no better way to learn a language than by immersing yourself in it. At first, it will be the toughest thing you have ever done. Eventually, it will become second nature. You will become a more balanced person. New situations and challenges, from buying bread to traveling across town, will pop up daily. You will handle it and you’ll do it by yourself. Before long, you will be ready for anything. Life in any part of the world will no longer surprise you. In your future career, this will be a benefit. International study on your resume will speak to your adaptability. Moreover, you’ll have contacts for life. When your employer wants to reach out and do business abroad, you just might be the person to lead the movement. If you want to bring your new family on a vacation back to where you spent your college days, you will have people on the inside. Being able to step out of the United States and look back gives you a better perspective. How do other nations perceive us? What is it like to live in a different social system? What do you miss about home? What hang-ups do Americans have that other people find unnecessary? You might find that the “Land of the Free” has a great number of restrictions, like wearing bikini tops or not drinking beer on the train, which other societies ignore. Studying internationally will not always be a brilliant multilingual debate in an exotic coffee house. Some days you will wish you had never done it. You’ll just want to be back home. You will be an independent businessperson responsible for every aspect in your life in a tough environment. Some people will see you as a potential victim. Watch out for scams, protect your information and trust your street smarts. If you don’t yet have any, you may find yourself broke and in trouble. You can Skype with your friends and family, but it won’t be the same. Life overseas can be lonely. You will need to be a strong solo operator. You’ll meet new people, but you may never bond tightly. There is a difference between exchanging information in a foreign language and deeply communicating. You may feel that no one really can understand or comfort you. You may make mistakes, be ripped off and feel embarrassed or awkward, but you’ll grow from it. Know what you are getting into. You have no excuse not to research your potential new home, interview students who have done what you’re doing and compare costs of living. Be sure to have a reliable source of funding. Know whom to contact if you need legal, financial or cultural advice. Make some connections before you hit the ground so you’re not totally alone. And please, look at your living space before you decide to go. We have more elbowroom in the United States than in many other countries. When you open the door on your new apartment or dorm room, don’t get a sinking feeling. Make sure you have nailed down satisfactory accommodations. If you don’t do it, you will never know what you are missing. You’ll come back (if you ever come back) a well-rounded, stronger person. And a smarter student without all that clingy student debt.